I will do so…that’s a great idea…I have to admit one painful point…as a professional musician its hardly someone nominate us or include us..
You could be nominated for best dressed – that award is about style – and style is all about perception. So someone could love the styling of your blog. OR most inspiring? Music is definitely inspiring. But I do take your point. Perhaps next year I will add a post for most creative? Nothing to add …I appreciate your words. I would like to nominate Chris Graham (aka The Story Reading Ape) for the Services to Bloggers Award. The link is: http://thestoryreadingapeblog.com. I need to give the other categories some thought, because there are a few I would like to nominate so it will take me a few days to decide! I completely agree about Chris, he’s got to get a few nominations ?? This looks like great fun! I’m nominating Chris Graham too – my hero! And Sally Cronin who really has a fabulous site, and is hugely supportive to the blogging community. Thanks so much. For the nominations and reblog. Both your bloggers are fantastic ?? Or maybe you are coming to the first Annual Blogger Bash in London? None of the nominations are easy… there are a number of bloggers who immediately spring to mind for each one, and many who would fit neatly into multiple categories. Best Overall Blog Award – Sally Cronin. Not only is Smorgasbord well presented, but Sally consistently supports other bloggers on social media, through reblogs , and comments. She also writes extremely informative articles on health, as well as interesting original content. Funniest Blogger Award –Alienora Taylor. Bawdy, irreverent…the woman has a wicked command of language and regularly has me decorating my screen with spluttered coffee. Not all of Ali’s story is funny. She also bares her very human heart on her blog, sometimes in ways not easy to read, but often in ways that are all too easy to recognise. Most Inspiring Blog Award – Ali Isaac. To read the main page of the blog, filled with myth and magic, you would not realise the story that goes on behind the scenes… a story that is shared with love and honesty as she cares for her daughter. Most Informative Blog Award –Chris McMullen. Consistently producing exceptionally informative articles on the process of writing, publishing and promotion. Services to Bloggers Award – It can only be the Ape. Chris Graham. I would also like to recognise Sacha Black, who could also fit a number of the categories and who, as host, has voluntarily put herself in a position where she may not herself be nominated. Thanks Sue, I love your nominations too a couple I haven’t come across so will go have a look. Thanks for giving such considerate thoughts to go with each one. I’d love to do a little speech/blurb on the post for each winner with all the lovely comments they get ?? I reckon there will be more votes than nominations to be fair. but i think its really hard to nominate if you have loads of faves! It is… I could give a whole list for each category.. and still not cover everyone I’d love to include! Thanks for the nomination, Sue! ☺ Will do. Hard to pick favorites…so many good ones have already been nominated. I will have to be redundant ! Thanks Seumas that is lovely.. I think Sophie at http://www.reviewedthebook.co.uk/ should get the award for the best overall blogger. She’s loyal, innovative and consistent. Great stuff. Puts my new blog to shame. Thank you Linda ?? do you have any nominations for the other categories? I’ll have a think when my brain isn’t so hot! I’d like to nominate Seumas Gallacher’s blog for the Funniest Blogger award http://seumasgallacher.com/ and second, third, fourth the nomination of Chris’ Story-reading Ape for the Services to Bloggers Award. Anyone who’s read Seumas’s blog knows they are in for a good laugh and Chris is in a field of his own. Thanks so much for these nominations, feel free to nominate in the other categories if you like. please do come then Peter 🙂 we would love to meet you and the more the merrier on the 1st. and feel free to nominate if you want to. Great idea from Sacha… Who will you vote for? Looking forward to this – got my tickets all booked! Love this idea! Is it just for UK bloggers? Vote for your favorite bloggers in the (soon to be) Annual Bloggers Bash Awards 2015. HURRY! Nominations close 7 July. Thanks Barb 🙂 really appreciate the reblog, feel free to nominate too. Thank you SO much for your fab nominations ? This is a great idea! I’m going to put some nominations in. And thank you again for reblogging this, 🙂 the more the merrier these awards are for everyone ? Thank you 🙂 It’s a great idea! 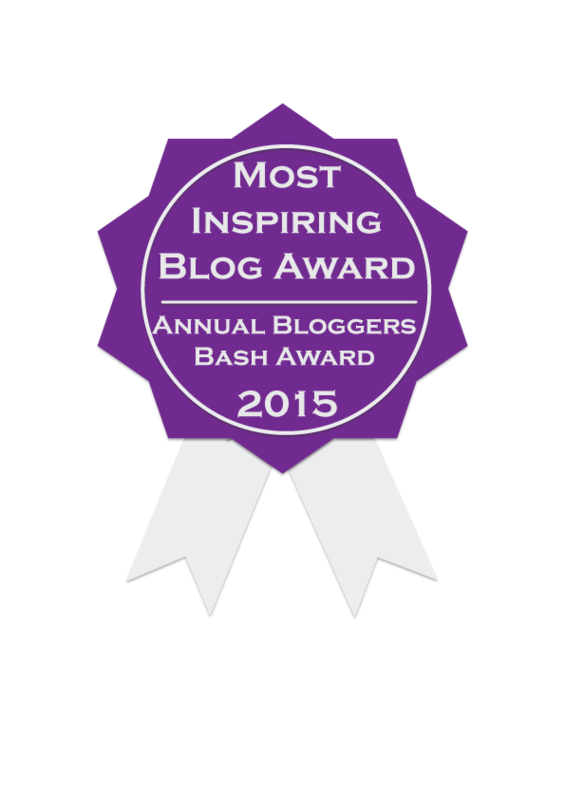 Annual Bloggers Bash Awards Nominations via Sacha Black. Vote for your favourite blogging heros! Will do, putting my thinking cap on at the moment takes a while to charge up! A lot of head scratching going on here…this one or that one? lol tell me about it, I haven’t even decided who to nominate yet! Will you nominate too ? thanks for the reblog. I will. Needs thought though. Such a great idea and so cool of you to be posting this for all to see. Thank you ? please do feel free to nominate your fave bloggers ? Thanks so much for your lovely nominations ?? Best overall—Rosie Amber’s blog [https://rosieamber.wordpress.com/] is a constantly evolving, always-entertaining blog that remains consistently greater than the sum of its parts. All credit goes to Rosie, who combines terrific reviews with an amazing talent for bringing book lovers and authors together. From her own insightful reviews to the seemingly never-ending products of her imagination—her book review team, her special blog hops, her features such as the Wednesday Wing tips, Five Minute Friday recommendations, etc.—Rosie uses variety and humor and a deep love of the written word to keep us entertained. Funniest—Seumas Gallacher’s blog [http://seumasgallacher.com/] is a hilarious rollercoaster of humor that is interspersed with incredible guests, deep thoughts about the writing process, and just plain fun. Most Inspiring—Ali calls her blog, A Woman’s Wisdom—the Book Blog for Lovers of the Written Word. [https://awomanswisdom.wordpress.com/ ]And it’s all that and more. Her perceptive questions have led to some of the best author interviews on the web, and her guests’ stories are truly compelling. Add to that her fantastic book reviews, support for indie and new writers, and her hilarious and touching Tales From the Manor posts, and she’s the best example I can think of for an inspiring blogger. Most Informative—Cathy’s reviews on Between the Lines [https://betweenthelinesbookblog.wordpress.com/about/ ] are the ones that consistently point me toward a special new writer, genre, or tale. Sometimes I wonder if I should click on her newest post, because the odds are that it will end with me buying another book. And I’d complain, but to tell the truth, she’s just never wrong! Best Dressed—What can I say about Sue Vincent’s blog? She dazzles me with her beautiful photos, words, ideas, and possibly the cutest dog on the web. Services to Bloggers—It’s ALL about the Ape! That’s Chris Graham (aka The Story Reading Ape) of course. [http://thestoryreadingapeblog.com]. Oh, wow! Thank you so much, Barb! Thank you, Barb! I really am genuinely chuffed by what you said about my blog and it is very kind of you to nominate me. This bash has taken on vibrancy and form! What an event planner you are! I’m holding out for success so I can save up for tickets next year. I’ll send you my nominations. Now that the holiday is over and I won’t be travelling (keeping fingers crossed) in the near future, I should be able to catch up my OpaToDoList, baring any unplanned intrusions into our lives. I nominate Barb Taub for the Funniest. I really enjoy her sense of humor.
. I don’t feel like my time has been wasted or like I need to skim. That being said, I also nominate Barb Taub for Most Informative. I never feel I have to skim–it’s all useful–or that my time is being wasted with fluff. Funniest Blog Award – Dan Antion – http://nofacilities.com – always a chuckle whatever he writes! Reblogged this on A Woman's Wisdom – The Book Blog For Lovers Of The Written Word. Well some of this was more difficult than I thought it was going to be! So many great blogs out there! I have simply gone with who draws me in the most regularly! Most Inspiring – Sue Vincent – http://scvincent.com – Again, an easy win in my eyes. There is a calmness, beauty and gentle humour about Sue’s blogs which always leave a ‘feel good’ factor behind. I love her images, her style and the informative nature of her blog posts. Most informative – Chris Graham – http://thestoryreadingapeblog.com – For sheer variation and quality of content there can be no other blog in my mind. A consistent all rounder, Chris writes intelligently, factually and with style. Best Dressed – Barb Taub – http://barbtaub.com – This one was also an easy choice. Barb’s content, humour and style makes her the best book reviewer I know. Her blog is dynamic, informative, without compromise and consistently entertaining. Best Overall – Carol Hedges – http://carolhedges.blogspot.co.uk – Carol pulls no punches with her informative articles and opinions. I love that. Her newest series on the adventures of being a Grandmother make me cry with laughter. Carol’s guests are always interesting people and when a new post notification pops into my email box I am straight over there for a snout at what she has done or said this time! A lovely lady whose wit, determination and spark inspire me to do better. What more could anyone need? Rosie Amber’s blog for Best Overall – http://rosieamber.wordpress.com – I don’t know how Rosie finds the time to do everything she does. Barb Taub’s blog for Funniest – http://barbtaub.com – I love reading Barb’s blog, guaranteed to bring smiles and laugh out loud moments. Shelley Wilson for Most Inspiring – http://myresolutionchellenge.blogspot.co.uk – lots of interesting and inspirational reading. Ali Isaac for Most Informative – http://aliisaacstoryteller.com – I love reading Ali’s posts about Ireland, the mythology and ancient places. Sue Vincent for Best Dressed blog – http://scvincent.com – beautiful imagery and imaginative posts. Chris Graham for Services to Bloggers – http://thestoryreadingapeblog.com – lots of help for authors and bloggers. Thank you for spearheading this Sacha and incredibly difficult as I could fill each category several times over. I am sorry that I cannot nominate everyone I owe but here are my nominees and they are mainly people who have been with me every step of the way of my blogging journey with support, advice and a shoulder to laugh and cry on.. here we go. Best overall Blog – Jo Robinson – publishing, wildlife conservation, blogging, interviews and hugely supportive from my first blog posts and has been there for me ever since. Most Inspiring Blogger – Sue Vincent for her own story and her spiritual but practical approach to life in general as well as her support of all those she follows. Hugh Roberts for being so determined that I should be a stand up comic and his unfailing good humour on his blog and his stories. Olga Nunez Miret – great series of interviews of both English and Spanish speaking authors as well as her support of others including for my blog over the last year. That would have to be M’Lord Seumas Gallacher who can certainly wear a kilt very well.. He would also fit into other categories of course but the knees have it! He also would fit very well into the other categories for his knowledge and experience as a successful author that he passes on to the rest of us. Well that of course would have to be Christopher Graham, The Story Reading Ape whose blog is home to so many of us in the Hall of Fame and who manages to conjure up useful articles, posts and informations like a genie in a magic lamp. … and thank you, Sally. That really does mean a lot. Here is your chance to nominate your most supportive, creative, funny, inspiring blogs that you follow for The Annual Bloggers Bash Awards. I warn you very difficult as I could have filled each category several times over. But we could only pick one. Great post Sacha!, Can’t wait to meet everyone at the Annual Bloggers Bash, and will certainly be vasting my votes for the ABBA’s!!! Lol Abbas! You’ve been nominated a couple time too Ali! And your getting a nomination from me too! For most informative ? Really??? Faandabidozy! I’ll be putting in my nominations tomorrow when I am back on my laptop. Too difficult to do links and things on my phone when I am at the airport, especially as I am technologically challenged! Haha you are so not technologically challenged! And yeh course! A massively informative blogger. I’ve learnt loads from you ? Aw thank you! That’s the blogging community for you, we all learn from each other and pass it on! 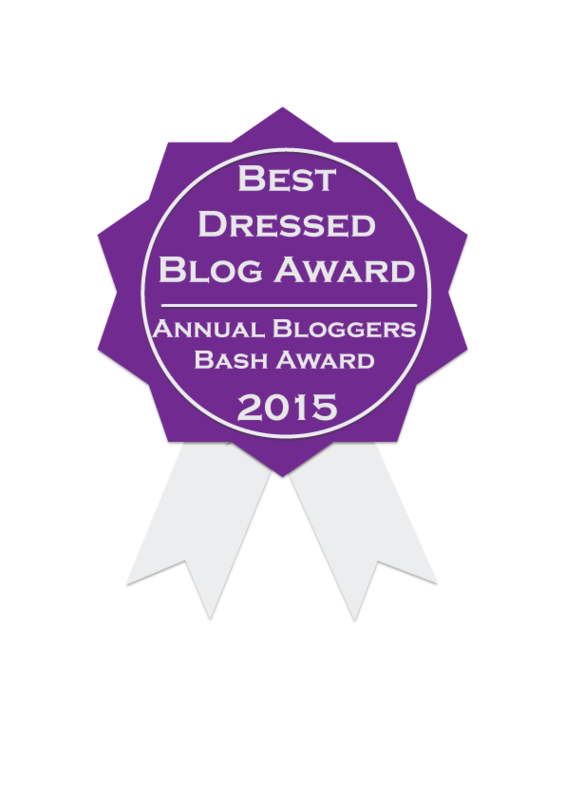 Nominate your fave blogs for an ABBA! What’s an ABBA? Not a member of a well known Swedish pop group, that’s sooooo yesterday! These days an ABBA stands for an Annual Bloggers Bash Award, and while you’re at it, why not join us in London on Aug 1st to find out the results? Thanks so much Cynthia please feel free to nominate in the other categories ? I’m surprised no one has mentioned Tara Sparling yet: tarasparlingwrites.com. Allow me to nominate her for funniest blog. As for the rest of the categories, Ali and the two Chrises (Ape and McMullen) are among my favorites, but they’ve already been nominated. So, I’ll also nominate Charles Yallowitz (legendsofwindemere.com/) for Most Inspiring Blog, as I get a lot of my writing/blogging ideas reading his blog. Oh, I forgot: I’d also like to nominate Sue Colletta for most informative blog (crimewriterblog.com). 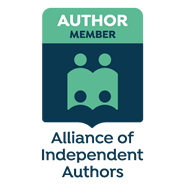 Sue gives plenty of writing advice on her blog, and has several great posts on how to find an agent and get traditionally published. Tara Sparling is an excellent choice, but I have to nominate my girl Lucy at BlondeWriteMore http://www.blondewritemore.wordpress.com for Funniest Blog Award. She has me in stitches almost daily with her posts about being a writer and her yearning to become American. For Service To Bloggers Award I nominate Nicholas Rossis http://www.nicholasrossis.me for all he does, sharing what works and what doesn’t with promotion and marketing. He’s always there for fellow bloggers, working on statistics, links, ads, etc., to help fellow authors sell more books. His blog fits several categories, but since I can only pick one I think this is the right spot. Best Overall Blog Award: There are so many I love! This isn’t easy, but I’ll nominate my buddy Craig at Entertaining Stories. His blog fits several of the categories. He blogs daily, even while on vacation, and has a wide variety of posts. http://www.coldhandboyack.wordpress.com. Most Inspiring Blog Award: Margot Kinberg http://www.margotkinberg.com. She features a wide variety of crime fiction, spotlight features, and crime news break videos. Daily posts that are well thought out and informative. How she finds the time is anyone’s guess. An awesome all-around blog. Most Informative Blog Award: Write On, Sisters! http://www.writeonsisters.com. Robin and Heather post informative articles on writing that are both fun and informative. Best Dressed Blog Award: Kevin Hotter http://www.kevinhotter.wordpress.com. His beautiful photography and kind heart make him one of the most sincere bloggers I know. I’m so glad I found your blog, Sasha! Looking forward to getting to know you. Correction for Margot Kinberg. Her blog address is http://www.margotkinberg.blogspot.com. Nominations now open for your favourite bloggers..
Oh I have no idea who I want to nominate; all the bloggers I know fit the categories! In the meantime, I’m def going to share this on tomorrow’s Friday Finds! 🙂 awww thank you! It takes quite a bit of tine to collect and read and sort the information….I def will! Sacha, I left this nomination for last to include my personal reasoning why! Let’s get the address right this time. Thank you so much Michelle, very honoured and in great company. I know, I feel like I want to nominate everyone! Thank you for the nomination, Helen!